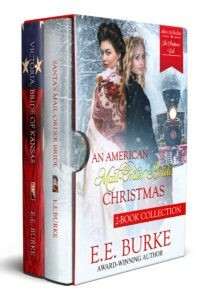 I’m delighted to announce that USA Today Bestselling Author Caroline Lee is featuring my #1 bestselling box set, An American Mail Order Bride Christmas Collection, in her book club this week! I’ve put the collection on sale for 99 cents because I want all her readers (and mine) to be able to afford it! If you haven’t yet read this set yet, I hope you’ll try it. Goes well with a cup of hot cocoa and a warm fire! Here’s the link for the book. Here’s the link to the group if you want to participate in the conversation and giveaways I’ll be offering. 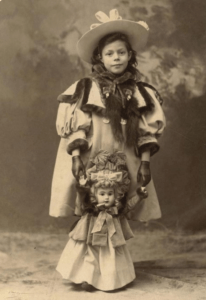 In Victoria, Bride of Kansas, we meet a little girl, Fannie, who is mute. She hasn’t spoken since her mother left her two years earlier. Victoria initially tries to break through Fannie’s defenses with a very special gift. Desperate to communicate with the troubled child, Victoria teaches her sign language. Where did Victoria learn sign language? At the first American school for the Deaf in Hartsford, Conn., which opened its doors in 1817. Within forty years of the opening of the Hartford school, more than twenty other schools for the deaf had been established, the majority residential, teaching manual sign language. David O’Brien doesn’t react well to Victoria teaching his daughter how to sign. If she doesn’t speak again and relies on sign language, he fears she will be excluded. His feelings reflect the general consensus of the time, which was fired by a fierce debate over the best way to teach the deaf to communicate. “Oralists” argued that the deaf should be taught to read lips and speak (English) in order assimilate into the broader society. Even Alexander Graham Bell, better known for his invention of the telephone, advocated banning sign language. David reluctantly agrees to try Victoria’s approach, with surprising–and touching–results. After I wrote Victoria’s story, which introduces David’s sister, Maggie, I knew I had to give Maggie her own HEA. A year has passed, and Maggie is now a teacher. She comes home for Christmas and finds a new mission—to gather toys for orphans. When she approaches Gordon Sumner–the shopkeeper across the street and David’s fiercest competitor–for his contribution, he comes up with a plan that will not only garner toys, but also allow him to “woo” a woman he’s had his eye on for some time. Santa’s Mail-Order Bride incorporates America’s Christmas traditions and the beloved character of Santa Claus. How much do you know about Santa? Santa Claus was a real person…sort of. Nikolaus of Myrna was born in the 3rd century in a village in present-day Turkey. He spent his sizable inheritance to help the needy and is credited with numerous miracles (including bringing dead people back to life), and he had a special love for children. It’s from his generous nature we get a gift-giving Santa. Fast forward centuries later and we find the Dutch giving Santa a ride across the ocean when immigrants from Holland bring the tradition of Sinterklaas to America. Woodcuts distributed in 1804 show images of an old man in a long robe and long white beard filling colonial stockings with fruit and toys. 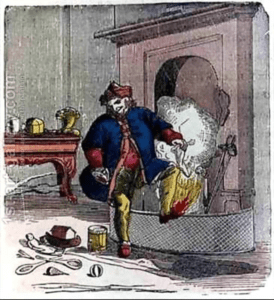 There are also colonial images showing Santa as a something of a trickster in a tricorn hat. 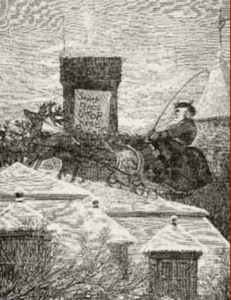 In 1823, an anonymous poem (later acknowledged to have been penned by Clement Clarke Moore, an Episcopal minister), gave us a mythical, mischievous Santa. Entitled “An Account of a Visit from St. Nicholas” or “The Night Before Christmas.” Moore’s poem is largely responsible for the image of Santa Claus as a “right jolly old elf” with a portly figure and the supernatural ability to ascend a chimney with a mere nod of his head. This is also where we pick up flying reindeer and Santa’s sleigh. We have American artist Thomas Nast to thank for developing the more familiar images of Santa Claus we cherish from Victorian times. 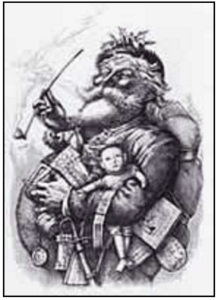 From 1863 through 1886, Nast contributed 33 Christmas drawings to Harper’s Weekly with references to Santa. Here is the most familiar Santa “portrait” he did in 1881. It is Nast who gave Santa his familiar suit, his North Pole workshop, elves, and even his wife, Mrs. Claus. Department store Santa’s popped up at the end of the 19th century and early 20th century. By the 1930s, Santa had even ventured into marketing, appearing on Coca-Cola ads. This 2-book collection features characters from another series I’ve written. 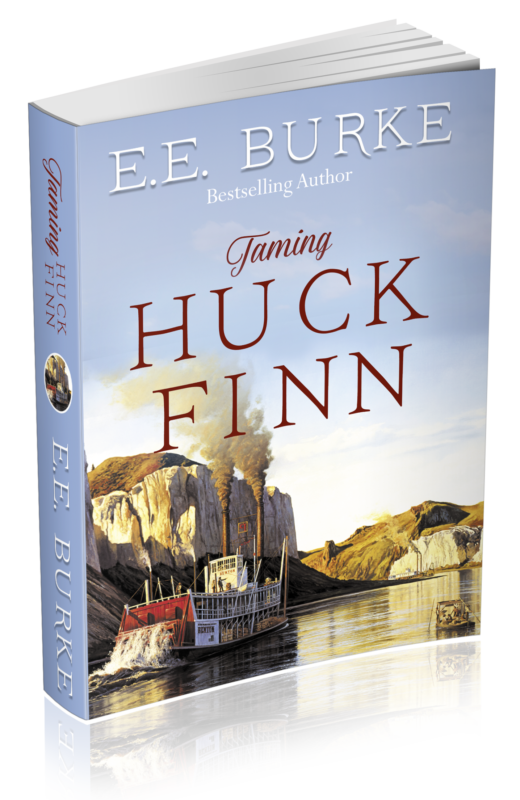 You’ll meet David’s mentor, Buck O’Connor, whose sage advice on relationships has come as the result of hard-earned lessons (Her Bodyguard, Steam! Romance and Rails). If you haven’t read this collection, I hope you’ll give it a try this season while it’s still on sale. May God bless you in this season of miracles, hope and love.